Can't connect during prayer? Unsure of what the Quran says? Remove the language barrier between You and the Quran. JazakAllah Khair! On to the next step! This course focuses 100% on helping you understand the Arabic of the Quran. Surah Al-Baqarah is an incredibly virtuous surah with many benefits mentioned for its recitation. The second and longest surah in the Qur'an, it spans over two juz'. In this course, we will go through the translation and vocabulary of the first juz. We will explore its language, lessons, themes and stories to gain a deeper appreciation of the Quran and the message taught by the Prophet Muhammad (S). You will have access to the recordings and all class material. Ustadh Obaidullah Ahmad was born and raised in Long Island, NY. He began memorizing the Quran at a young age and was able to complete his memorization by the age of 13. His religious education continued after graduating from Stony Brook University with a B.A. in Economics. Obaidullah enrolled in the Dream Program where he was among the top graduates of its first year. He has been the assistant instructor alongside Shaykh AbdulNasir Jangda at the Summer Quran Intensive since completing the Dream Program. Shaykh AbdulNasir Jangda is the founder and director of Qalam Institute. As a Dallas native, he went to Karachi to memorize the Qur’an and within the year, returned home to continue his school education. After graduating from High School, he went back to Karachi to study Islam full-time at Jamia Binoria. He graduated from the rigorous 7-year program in 2002 at the top of his class and concurrently completed a B.A. and M.A. in Arabic from Karachi University. He also obtained a Masters in Islamic Studies from the University of Sindh. 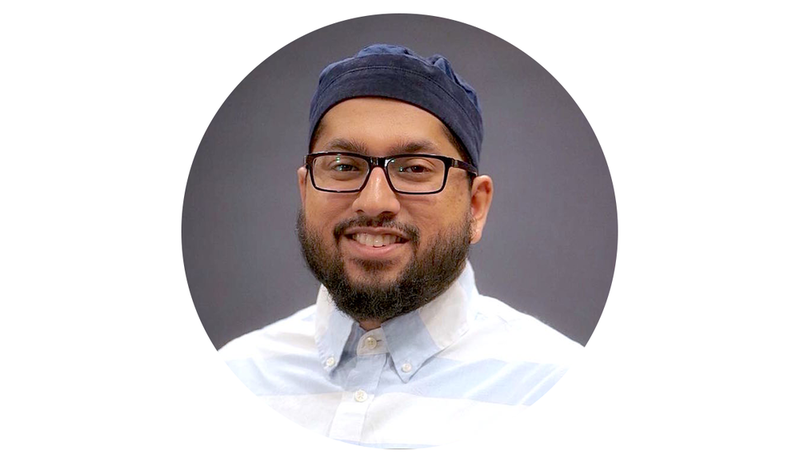 Imam Mikaeel Ahmed Smith (Michael V Smith) is an instructor at Qalam. He is an Islamic scholar, writer, and activist striving to meet the spiritual and educational needs of the DFW community. Imam Mikaeel previously served as a resident scholar at the Islamic Society of Annapolis and the Islamic Society of Baltimore. Imam Mikaeel graduated from Dar ul-Uloom al-Madania in Buffalo, NY, where he completed his memorization of the Qur’an. He continued his studies in Jami’a Abu Noor in Damascus, Syria.